China is finally admitting what we've known for years: Yes, it has cyber warfare units, and plenty of them. The nation's government has previously denied any organized cyber warfare efforts, despite investigations pinning blame for hacking attacks on the U.S. on the People's Liberation Army. In the latest update to a PLA publication called The Science of Military Strategy, China broke from its tradition of denying everything related to digital spying and network attack capabilities and explicitly revealed that it has specialized units devoted to using computers as weapons. Joe McReynolds, an expert on Chinese military strategy at the Center for Intelligence Research and Analysis, told Shane Harris of the Daily Beast that this is the first time China has admitted that it has digital weapons teams "on both the military and civilian-government sides." McReynolds says China splits its offensive infosec groups into three categories: operational military units, teams within civilian organizations that have been given authorization to hack, and "external entities" which sound a lot like hacking-for-hire mercenaries. "It means that the Chinese have discarded their fig leaf of quasi-plausible deniability," McReynolds said. 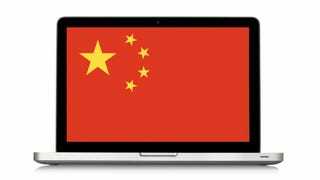 "As recently as 2013, official PLA [People's Liberation Army] publications have issued blanket denials such as, 'The Chinese military has never supported any hacker attack or hacking activities.' They can't make that claim anymore." Maybe this is a little red-heeled baby step towards more transparency from the PLA? Most analysts had assumed that China was lying about its capabilities previously, so it's not like this news is shocking. What's more surprising is that the updated version of The Science of Military Strategy came out in 2013, but because it was only made available to foreign experts recently, it didn't gain mainstream attention until now. I'm curious about whether the PLA has made contradictory statements in the time between initial Chinese publication and when foreigners finally read it.